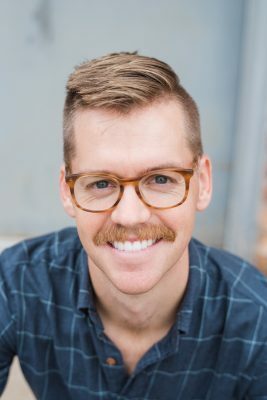 Assistant professor of German Studies and History Tyler Carrington knows a thing or two about love in Germany at the turn of the 20th Century. He has studied it extensively and now has written a book, “Love at Last Sight” that he calls a professional historical thriller. The German professor’s book is composed of true stories based on archival research. Carrington spent more than a year searching through old newspapers and studying personal ads. Each day he sat at a microfilm reader in Berlin scrolling through 25 years of newspapers. Then, he turned to Berlin’s police archives, and that’s where he uncovered the story that ties together the chapters of his new book. 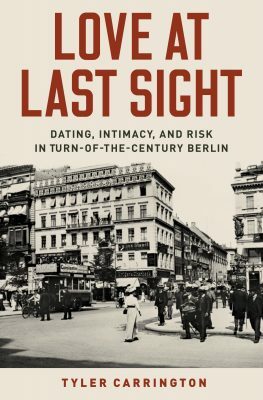 Carrington uses Frieda’s life and murder to explore themes related to dating in the big city around the turn of the century in Berlin, Germany. Carrington said that while many men and women found the usual ways of dating insufficient in the modern city, the city also created a bunch of new opportunities for finding love. His main research question is how people navigated the world of new romantic technologies. Carrington knows that at the surface, events that happened 100 years ago might not seem relevant today, but he assures readers they are. Carrington plans to use his book during his Block 8 class, Modern Europe and Its Critics, this year because he thinks students will enjoy it and learn from it. He’s also thrilled to see the Cornell community get a chance to read his book. The book is available for purchase by the publisher, Oxford University Press.